Off Road Classifieds | 2019 ENCLOSED TRAILER GOOSENECK TRIPLE AXLE 9 FT INTERIOR HEIGHT! 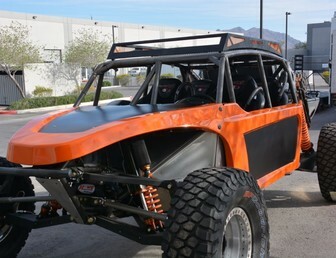 CUSTOM BUILT FOR LIFTED OFF ROAD TOYS OR HAULING A COUPLE OF CUSTOM ROADSTERS. YOU CAN FIT TWO JEEPS OR TWO SXS AND HAVE ROOM FOR YOUR TOOL BOXES AND SPARES. COMPARE PRICES!!! THIS RIG FROM CONTINENTAL AND SIMILAR MANUFACTURERS COST 33K!! I HAVE LITERALLY USED THE RIG ONCE TO MOVE 100 MILES OR LESS TOTAL! THE RIG IS BRAND NEW AND IS BUILT ROCK SOLID!